Billings, Mont. – In response to today’s White House announcement that President Trump will impose additional trade-related sanctions against China’s unfair trade practices, including new tariffs on agricultural equipment and other imports, R-CALF USA CEO Bill Bullard said the United States is finally beginning to defend itself against unfair and imbalanced trade. 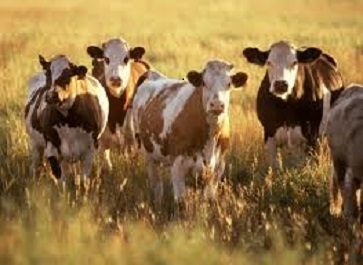 R-CALF USA previously supported President Trump’s tariffs on steel and aluminum and is the only agricultural trade group calling for tariffs on cattle, beef, sheep and lamb from countries that maintain persistent trade surpluses with the United States. For nearly two decades R-CALF USA provided comments and testimony to presidential administrations urging decisive action to rebalance the United States’ lopsided trade with countries from around the world. But, Bullard said those previous administrations couldn’t pull themselves away from the entrenched lobbying firms representing multinational corporations that have no particular loyalty to the United Sates. Bullard’s group points to the imbalanced trade with countries like Australia, New Zealand, Brazil, and Uruguay, all of which export large volumes of beef to the United States but accept only token imports of beef products produced by U.S. farmers and ranchers. “There’s no reciprocity with these countries and their cheaper imports have caused our industry to shrink and our markets to become less competitive,” Bullard said. Bullard acknowledges the meatpacking lobby convinced past administrations to support lopsided trade by arguing that beef imports compliment rather than compete with domestic cattle and beef. Meatpackers have long contended that imports from the countries named by Bullard are generally very lean beef that needs to be supplemented with higher quality domestic trimming to make ground beef desired by U.S. consumers. Bullard contends that imbalanced trade harms the domestic cattle industry regardless of whether the imbalance is from countries that produce lean beef. “About 20 percent of the annual income of U.S. ranchers is from the sale of lean cows and bulls and prices for these lean animals are being severely distorted by cheaper imports from countries that refuse to engage in reciprocal and fair trade and that do not adhere to the same production practices as U.S. producers. 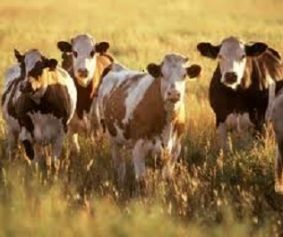 “If our market for lean beef were not leveraged down by cheaper lean imports, the U.S. cattle industry would begin producing even more of what our nation consumes,” Bullard said. According to Bullard, the multinational corporations’ strategy of continually rationalizing America’s growing trade deficit is finally being countered with tariffs and other legitimate tools the Trump Administration is now beginning to use. “We hope this is only the beginning of the President’s efforts to help the United States begin producing more of what it consumes. “The U.S. cattle industry needs to support these trade reforms in order to bring back America’s middle class that has been decimated by failed trade policies. After all, it is America’s middle class that covets U.S.-produced beef,” Bullard concluded.